I hope you all had a great 4th of July! It rained ALL day long, so all of the fireworks shows around here were cancelled. So, we just sat on the front porch and watched fireworks with our neighbors. A couple weeks ago, my friend Julie, told me about a race she was running on the 4th called the Great Buffalo Chase. 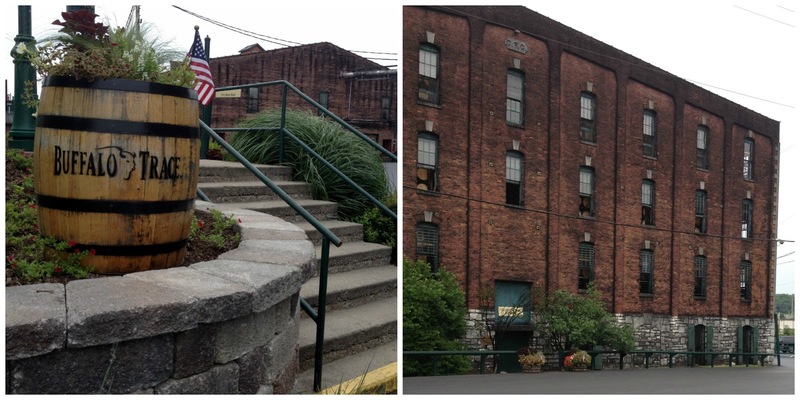 It takes place at the Buffalo Trace Distillery. 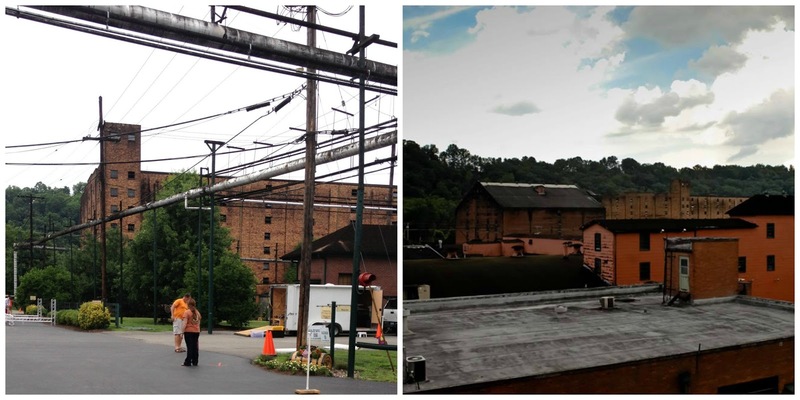 It is the oldest continuously operating distillery in America and has been making legendary bourbon whiskey for over 200 years! She also said it was a flat course, which sounded perfect for reaching my goal of running a sub 30 5k. Before the race started it was POURING rain. I was not very excited about running in that! Julie and I sat in the car for awhile and by the time we were ready to run, it was only sprinkling. And it continued to do that throughout the whole race, which felt really nice! The course was so cool!! 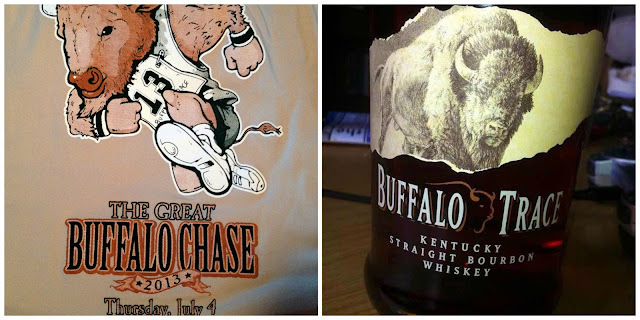 It was very interesting to run while smelling the bourbon. It smelled so good! Unfortunately, I didn't make my goal...again. My unofficial time was 32:34. UGH. And it was even a flat course! I just can't figure this thing out! 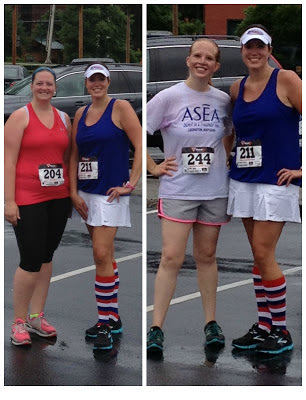 I kind of felt like this was my last chance, because I'm not doing anymore 5 k's- at least not until the fall. I guess that gives me all summer to do some speed work! The day before this race I met Amy through Facebook, and found out she was running this too! 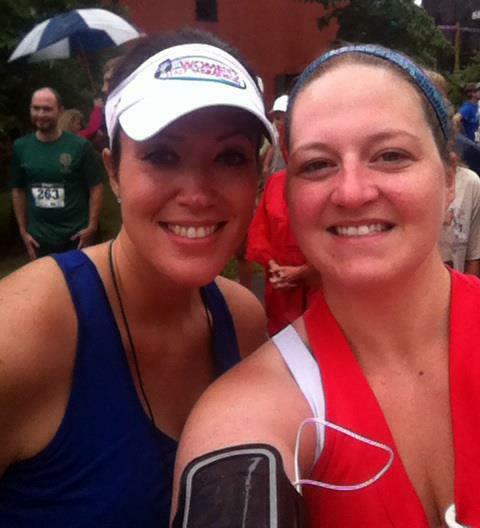 I love meeting new people, especially others who share my passion of running! I was really hoping I'd be able to find her with all the people there. About halfway through the race I heard someone calling my name and it was her! We chatted and ran together a couple minutes. She has 4 kiddos and has lost 50 lbs.! Talk about an inspiration! 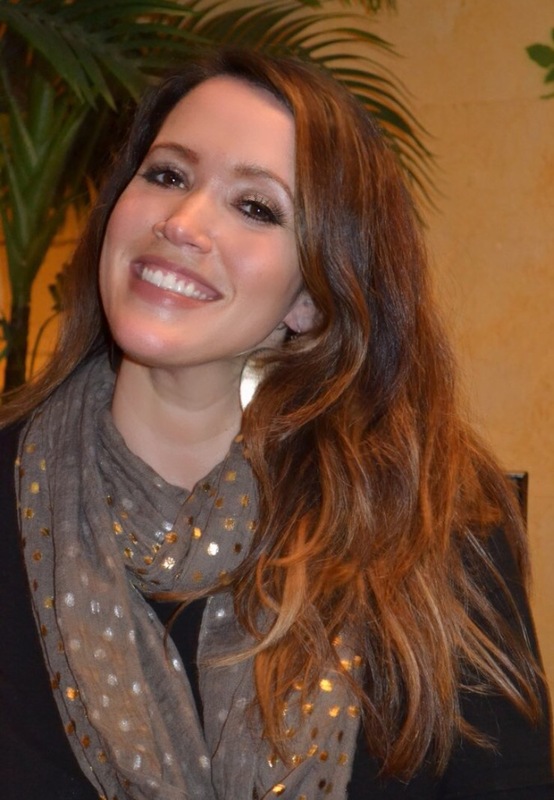 Check out her website here. It was a fun race, that I'll definitely be running again! And next time, no doubt about it, I WILL get that sub 30!!!!! The next race on my calendar is the Columbus Half Marathon August 11! Is anyone else running that one? I think you did really well considering how hot it is right now. You should be proud, come fall you will kill 30 min! Looks like a fun race!...one step at a time and you will get there!!! Love your outfit!!!! and that is CERTAINLY not your last chance ;) We have good days and bad.... usually more bad than good and I wish i could figure out what triggers a good day! Sometimes its best to stop stressing about the time and just run to run. Don't get wrapped up in PRs. Sounds like a fun location for a race! You'll get that sub-30 this fall! I think you did really well! You will get that sub 30 5k! I think you'll be surprised at what a few months of speed work will do. Katie has a very good point. I try not to stress about a PR / time goal. Sure it's there in the back of my mind but I just have let my body do it's best on the day. I can't stress about it. I usually find that at least keeps me somewhat relaxed..and who knows maybe that's key? You look so cute!! I know you didn't meet your goal (yet! ), but I'm glad it was a great race! You're adorable, and I bet that sprinkling rain felt amazing. :) You'll get that sub-30 eventually. Maybe taking a break from 5ks will be the key. Good luck training for your 1/2. It's the day after my birthday, so it'll be a great race. LOL.